If your industry depends on training to advance, consider an "earn-while-you-learn" approach to building your workforce. 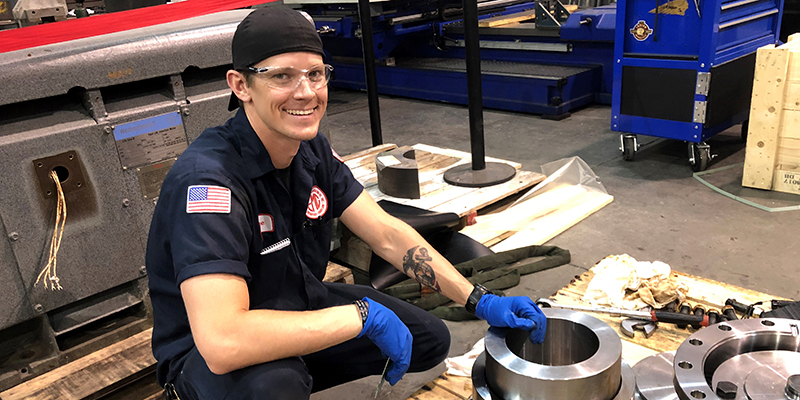 As machine shop manager at Electric Motor & Contracting Company, Inc., (EMC) Dan Purcell recognizes the importance of attracting young adults to a career field that doesn’t immediately jump to mind. The Chesapeake-based company overhauls electric motors for industries ranging from nuclear to marine but it relies heavily on an older workforce with not enough young workers in the pipeline qualified to take their place in the next decade or more. Beginning a registered apprenticeship program just made sense. Purcell just didn’t expect it to be so simple. He filled out minimal paperwork for the Department of Labor and collaborated with Tidewater Community College’s Apprenticeship Institute to provide the relevant coursework for the company based in Chesapeake’s Cavalier Industrial Park. Registered apprenticeships depend on an “earn-while-you-learn” approach. Employers can build a qualified workforce in fields that include health care, construction or any industry that requires training to advance. TCC provides curriculum and instruction geared toward earning employees an industry-recognized credential. 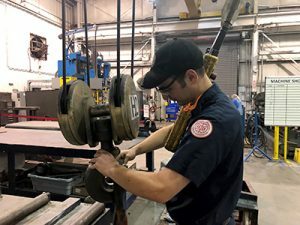 Apprentices work full time and receive company benefits, including raises with pay starting at $12 and rising to $26 per hour by the end of the four-year apprenticeship. The coursework at TCC after work is on their own time, but EMC covers tuition and book costs. Jordan Myers, 23, and Chance Styron, 29, are the company’s inaugural apprentices. Apprenticeship, Purcell said, is a viable model that could work for multiple industries and it’s an alternative worth considering for someone who doesn’t fit into the traditional college mold. Companies interested in setting up a registered apprenticeship program can contact Karen Miller, TCC’s interim associate vice president for corporate solutions & apprenticeship, at 757-822-1504.